Atul Khanzode leads DPR’s Technology and Innovation group. 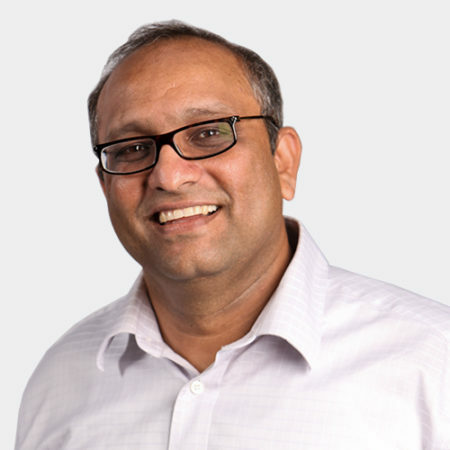 Starting with DPR in 1997 as a project engineer, Atul is now responsible for all of the virtual building, operations and preconstruction technologies, as well as strategic technology initiatives for DPR. He works with project teams across the country to implement Virtual Building and Lean Construction tools and processes and collaborates with academia and research groups around the world to move our industry forward in the use of technologies to improve project delivery processes. Atul has shared his insights on the impact of Virtual Design and Construction (VDC), lean construction and integration of project delivery process at various forums around the world and is a co-author of the book titled “Integrating Project Delivery." Atul loves his role at DPR because he gets to work with creative, ambitious and entrepreneurial group of people who are always coming up with new ideas and innovative ways to get the job done. What You Love Most About Construction Getting to work with creative people every day, the teamwork that goes into delivering a project, and seeing our work playing a great role in serving our communities.